29-year-old rookie Scott Carroll fulfilled his lifelong dream last month by defeating the Rays in his Major League debut, but Carroll’s spot in Chicago’s starting rotation is at risk after the right-hander has yielded six earned runs in each of his last two starts. Carroll has lost his last three starts, but the last two outings were absolutely disastrous – 12 runs and 22 hits allowed over nine innings. When Chicago manager Robin Ventura was asked whether Carroll would remain in the White Sox rotation, he gave a curt response. “Right now, he will,” Ventura said. Carroll’s struggles are not surprising in light of the fact that he has struggled in the Minors for the past eight seasons, garnering a career 4.82 ERA in 255 2/3 Triple-A innings. Meanwhile, Kansas City southpaw Jason Vargas is as vanilla as they come, but he epitomizes consistency and has a penchant for working deep into games. Vargas is 4-1 with a 3.00 ERA and 1.11 WHIP this season, including going 3-0 with a 2.10 ERA and 0.99 WHIP at night and 1-1 with a 3.37 ERA and 1.34 WHIP versus division opponents. The soft-tossing left-hander pitches to contact and is averaging just six strikeouts per nine innings pitched, but he recorded a season-high eight strikeouts in a 3-2 win over the Rockies last Wednesday. Vargas also toes the runner in excellent form as he has allowed just two runs over his last 13 2/3-innings pitched. Vargas is also supported by a very good Kansas City bullpen that owns a 3.53 ERA and 1.29 WHIP this season, including a 3.46 ERA and 1.36 WHIP at night and a 1.65 ERA and 1.04 WHIP over the last seven games. Meanwhile, Chicago’s scuffling offense took another hit yesterday when the White Sox placed first baseman Jose Abreu, the major league leader in home runs with 15, on the 15-day disabled list with tendonitis in his left ankle. Chicago is batting just .251 with a .308 on base percentage on the road (4.6 runs per game) and .218 with a .290 on base percentage over the last ten days (3.3 runs per game). While the Rotals’ offense has been less than spectacular recently, they finally exploded for eight runs on 11 hits in Sunday’s win over Baltimore. “It felt good,” Alex Gordon said. “Our offense needed to come alive. And granted, it’s just one day, but it feels good as an offense to finally get something going. We’ve been needing that and it’s a good step.” Kansas City has also been victimized by negative variance. In the first five games of its homestand, Kansas City struck out only nine times. But, the Royals converted just 21 percent of balls in play into hits (compared to a 28.6-percent mark for the season). From a technical standpoint, Kansas City is a profitable 43-20 (+14.6 units) as favorites of -125 to -175, while Jason Vargas is 21-9 (+14.9 units) in the month of May in his career. 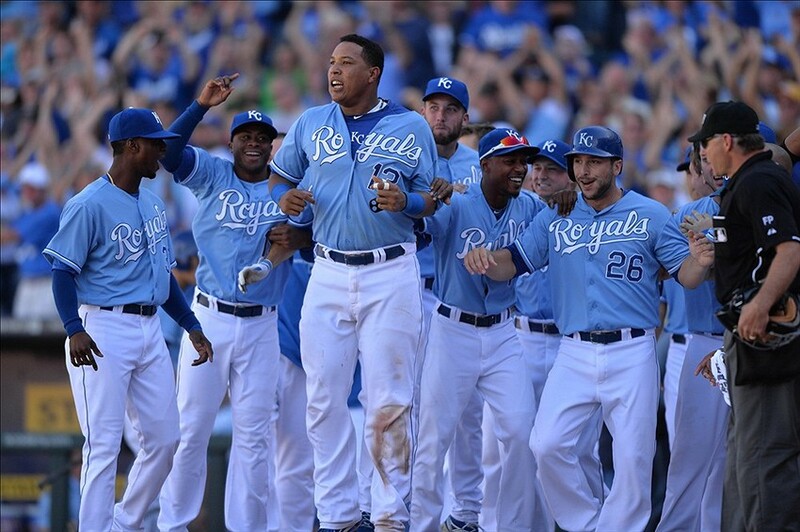 With Kansas City having won five of its last seven games, take the Royals and invest with confidence.